Ever wanted to live on a sailboat? 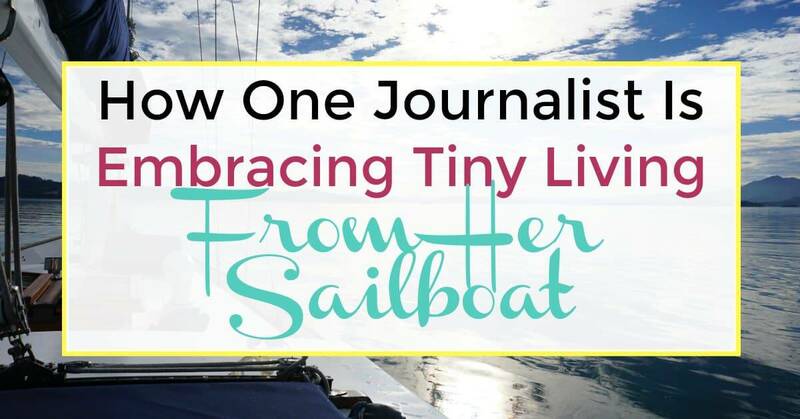 Read more to find out how one girl is embracing tiny living from her sailboat! Hello! I grew up in Portland, Oregon enjoying the woods behind my house. I’ve always been an adventurous sort who loves nature and outdoor activities. I went to the University of Oregon for a degree in journalism, then went on to work in radio news for 14 years in Portland, Seattle and San Francisco. The entire newsroom was decimated in 2016, so I had to rethink my entire lifestyle to continue afford living in the San Francisco Bay Area. I understand you have quite the debt pay-off story. Tell us how you were able to eliminate your debt by starting on your small living journey in 2015. 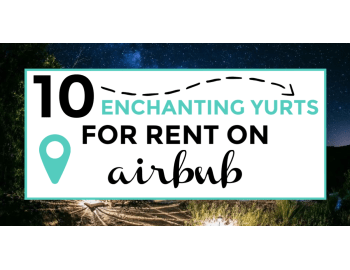 In 2015, I decided to give up my apartment just north of San Francisco and live in a Toyota Prius and a tent in order to pay off my debt and build up an emergency fund. I was sick of having high-interest personal loans for years that I hadn’t been able to pay off due to the high cost of living in the Bay Area. My boyfriend had started this journey earlier than me by moving out of the room he rented, and I joined him every night at a campsite where we’d build a fire, cook and play music. That’s when I decided I could do it, too. The first few days of this were hard. I felt very alone and vulnerable, like I had nowhere to run and hide if things got bad. No comforter to cuddle up under and watch movies on a rainy day. Nothing to call my own. Then, I got used to being pseudo-homeless. My boyfriend and I played music every night in his shipping container storage unit – him on guitar, and me on drums. That was our “living room.” We often camped at night or slept in the Prius somewhere in Marin County. On weekends we would fill the time with backpacking trips to Yosemite and Lassen National Park. We felt so much freedom not having a house to clean and organize! How much debt were you able to pay off and have you been able to stay away from debt all together since? I lived in the car and the tent for four months and was able to pay off $4,000 in debt and save a nice emergency fund. I know that wasn’t a ton of debt, but it had cost me dearly over the years with an interest rate around 30%. 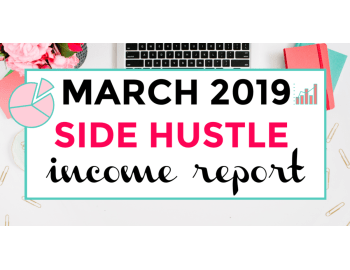 When I looked at my statements, I saw that two-thirds of each monthly payment went to interest, and that had to change. I’m so happy I was able to pay off my debt, and haven’t gone back into debt since, even though I was laid-off from a full-time job with a good salary. I made the lifestyle choices necessary to not go back into debt and I’d do everything I can not to owe again. I think it is the coolest thing that you live in a sailboat! What made you want to live in a sailboat? My boyfriend has been a sailor since 2000, and lived on a sailboat for seven years in Sausalito. This is his second boat, which he bought 7 months before I was laid off from my full-time job. The day I was laid-off, I knew something had to change. There was no way I was willing to go into debt to keep my apartment in Sausalito, so I gave my 30-days notice and moved onto his boat. 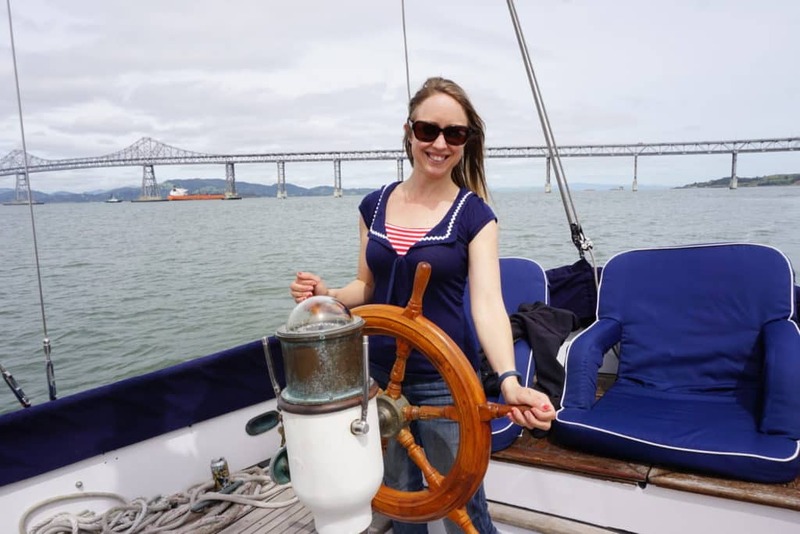 I’ve always really loved boats, so felt like a natural on board the sailboat. Now, I can’t imagine living anywhere else. We can change our backyard whenever we want and have endless adventures that await. We can sail around the world and still have the comfort of our home. My boyfriend put all the time and effort into finding his boat. He had a very specific type he wanted. I’d say if someone wants to live on a boat, they should decide whether they want a catamaran or monohull, decide on what type of keel they want, and what type of rig: two masts or one. They should also be prepared to do a lot of maintenance if they really want to buy a sailboat that can cruise around the world. If they just want to live in a sailboat that is docked at a marina full-time, the maintenance doesn’t matter as much. But my boyfriend has spent 2.5 years fixing up this boat to make it super safe for world travel. He bought it for $30,000 but has probably put $70,000 worth of new parts into it. There are cheaper sailboats out there, though, so don’t let all this scare you. Just do your research and join sailing communities to get your questions answered. There are plenty of awesome Facebook groups out there for sailors! What are your favorite things about living in a sailboat? I love the freedom end adventure associated with the boat. I love being able to move around with just the power of the wind. It’s an amazing thing when the wind fills the sails and we heel over; I feel one with nature. I love how connected we are to the elements. I know whether its raining, sunny, windy or calm. I can taste the night air when I cook dinner. I feel so connected to what’s going on around me; something I would never have in a house. Another favorite thing are rainy nights when I’m making comfort food in the oven, drinking wine, and listening to old country music with our furnace blazing. I’ve never been cozier! What challenges do you often face while living in a sailboat? It was very challenging when we first moved aboard since the boat is in restoration and was without many necessities. We had no stove, so I cooked using a camping Jetboil stove balancing a pan precariously on top. We had no toilet, so had to go to the marina bathroom or the gym for showers. The furnace wasn’t working, so we just had a tiny electric heater. At first, there was also no running water. It was a lot like camping in a remote back woods shelter. Now I am thankful for the small things in life that I before would have taken for granted, like having a stove. Do you often travel in your sailboat or stay in the San Francisco Bay area? We are in the San Francisco Bay Area for now but have big plans for travel. This spring, we may go down to the Channel Islands near Santa Barbara, then we hope to go up to Vancouver Island for the summer. After that, possibly Mexico in the winter and how knows what next spring will bring. Hawaii then up to Alaska? The South Pacific? We have to plan our life according to how the world tides and winds and storm season work year by year. 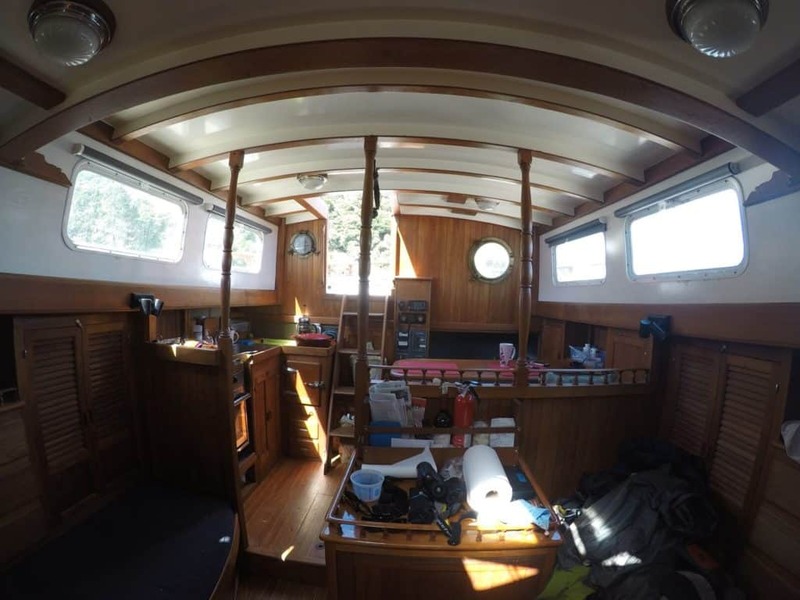 How much do you think you have been able to save over time by living in a sailboat? I haven’t been able to save that much being on the sailboat since I got laid-off and haven’t had a steady income. What I have done is avoided going into debt! I would have been thousands in debt right now had I stayed at my old apartment, which cost $1450 per month plus utilities. I have vowed never to go into debt again and will do anything not to, including downsizing and living in a somewhat uncomfortable position for a time. I see you are a Journalist. Are you able to work remote from the comfort of your sailboat? Right now, I mostly work from a gym that has a cafe with a seating area and wifi. But eventually, I will be able to work from the boat! I have to figure out the internet issue since satellite is so expensive on a sailboat, but I’m hoping we’ll be close enough to land that I could use a Wifi booster and a MiFi device, plus local Internet cafes and marina wifi to stay connected. My goal is to be able to make a good enough income – which is only $2,000 per month – which will let me go anywhere. Of course, I aspire to make more than that, but that’s my current goal. Tell us about your blog, thewaywardhome. My blog is all about the ways people are downsizing and living an alternative lifestyle, from my life on the sailboat, to van life, to people full-time RVing, to tiny homes. 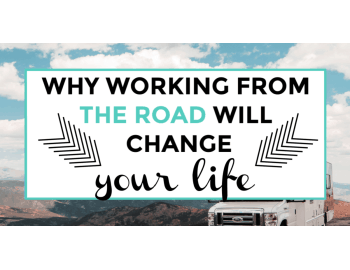 I also write about making money, saving money, and paying off debt since I think those things go hand-in-hand with a life of freedom and adventure. I hope to inspire people to leave the shackles of 9-5 life and go explore. Maybe if they read stories and see others doing it, they’ll be more apt to figure out a way. Do you have any exciting plans in the works for thewaywardhome? Once I start traveling more on the sailboat, I hope to really amp up my YouTube presence so people get a better idea of what the boat life is like. I love making videos and I’m excited to expand more in that arena. I also hope to finish my book about my time living “homeless” my time on the sailboat, and other people’s stories as well, which I’ll sell through The Wayward Home. Can you provide any tips for people just starting out in their own tiny living journey or maybe wanting to do so but hesitant to take the leap? I would say start small. Maybe try getting rid of a car or living in a smaller house or apartment. Maybe get a roommate to offset some bills. Join some Facebook groups that are all about people living the van life and see if that’s right for you. Research tiny homes. And START GETTING RID OF STUFF. That one is huge. Eliminating stuff and paying off debt will help create a launchpad for people to head into the “tiny” journey. 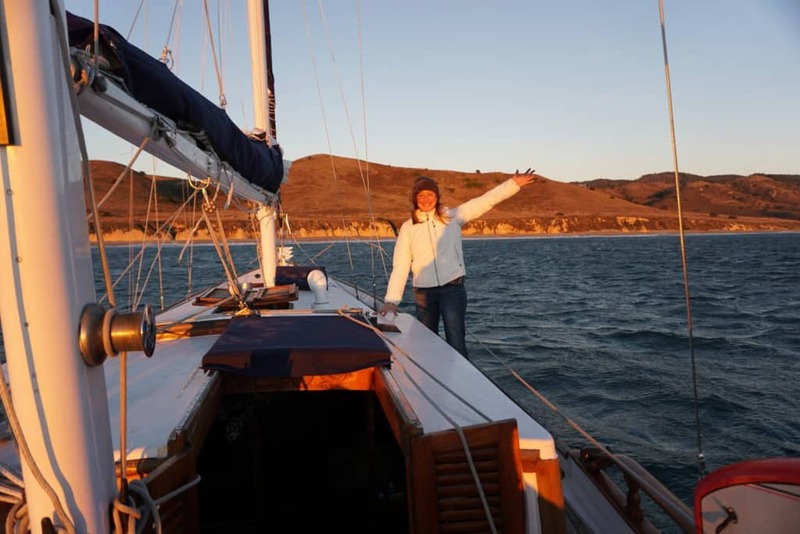 Kristin Hanes is a journalist and writer who lives on a sailboat in the San Francisco Bay. Before going freelance, she worked in radio news for 14 years. Besides sailing, Kristin loves backpacking, surfing, hiking and drinking good IPAs. I love Kristin’s blog The Wayward Home, and suggest you check it out ASAP! You can get in contact with Kristin through her blog, Instagram or Facebook. I have a place now, but the experience of leaving a settled spot and just go by faith into the world is amazing and priceless. It taught me so much about life and now I am a better and stronger person because of it. It also helped me overcome my depression and turn my entire life around. If you anyone is thinking about just going out there and challenging yourself as a human being, just do it. You will not regret it in the long run. That’s amazing, Freddy! My wife and I want to try van/camper life soon but trying to figure out how we can do that with our cats and dogs haha.